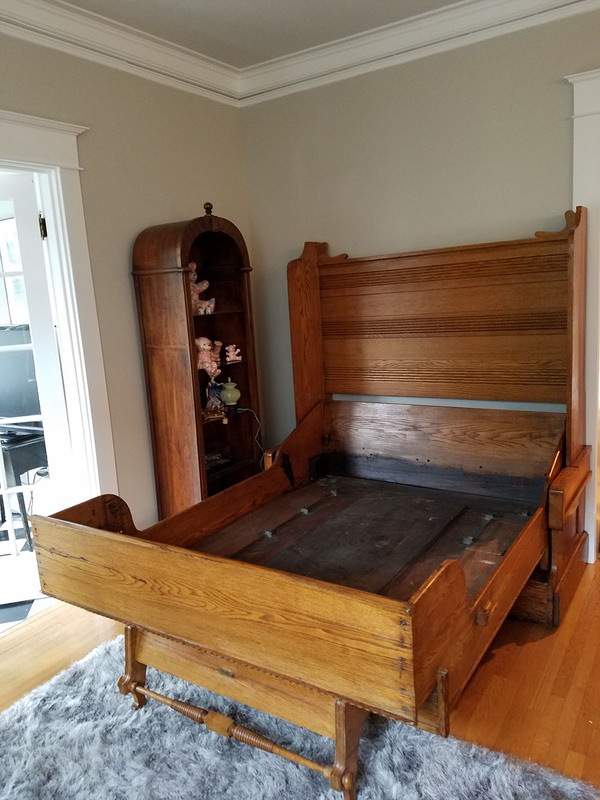 A couple in Laurelhurst, rebuilding a large waterfront home asked me to restore a 1924 New Brunswick Snooker table that came with the property. 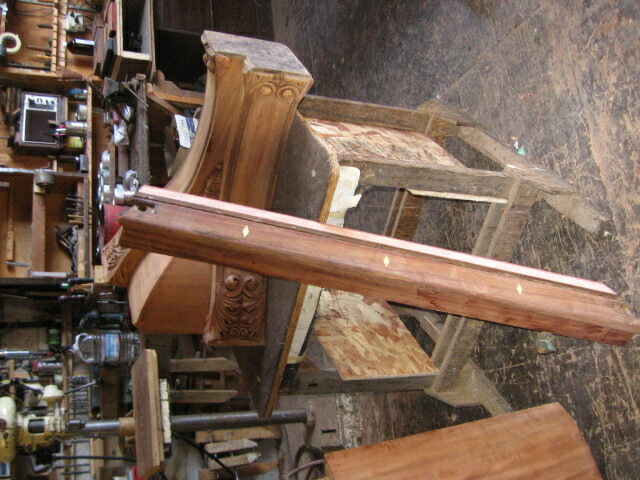 Stripping the piece revealed stunning mahogany and rosewood veneers with ivory accents. 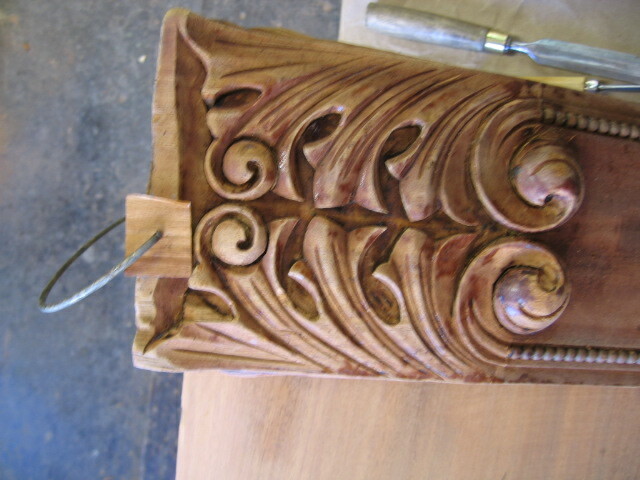 Much of the carved detail at the feet was missing along with some of the ivory on rails. A tropical plant, the tagua nut serves well as an ivory substitute. The slate top, in three pieces was carefully reassembled and new felt applied by a dedicated professional team of felters. 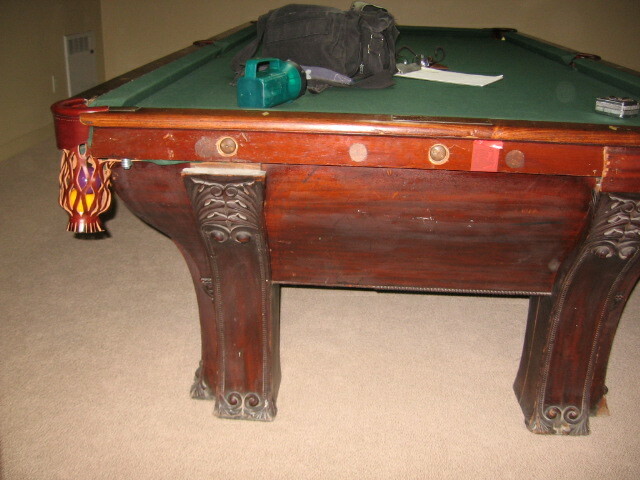 Last summer, I was asked to do an antique restoration on a 1924 New Brunswick snooker table for a couple in Laurelhurst. Snooker is similar to pool with a larger table & smaller balls, in this case, 5 feet x 10 feet. 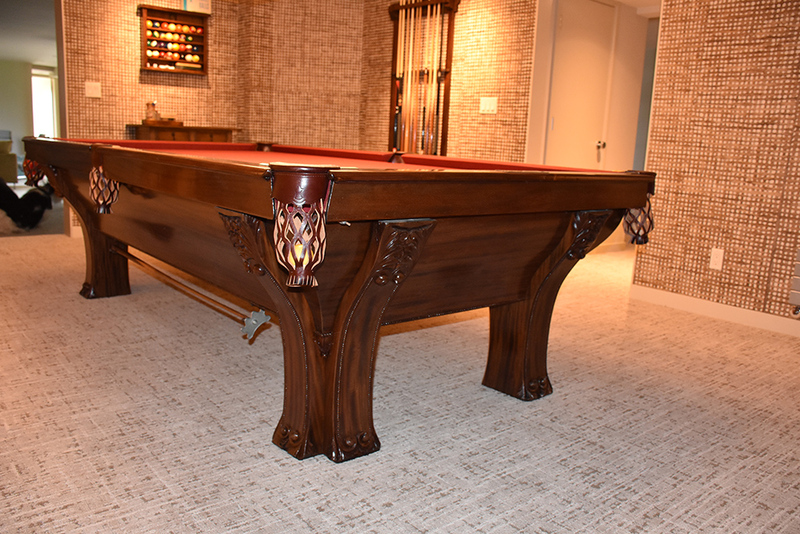 The table work was scheduled to coincide with a major renovation of the large, somewhat open plan house, including various game rooms featuring pinball, taxidermy on the walls, a tiki bar and an olympic sized swimming pool. The house was published as an exemplary model of 1970’s modernity. 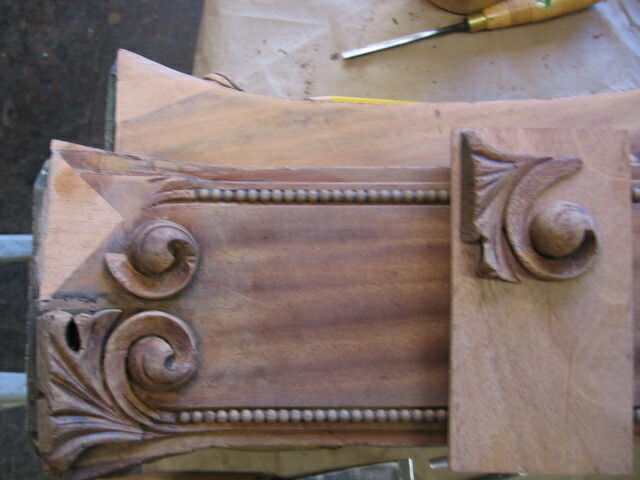 Some of this is retained in the current restoration by my clients. According to local legend, this billiard room functioned as a kind of operations center for the hard drinking, cigar smoking party animals of the Laurelhurst ‘mafia’ back in the day. 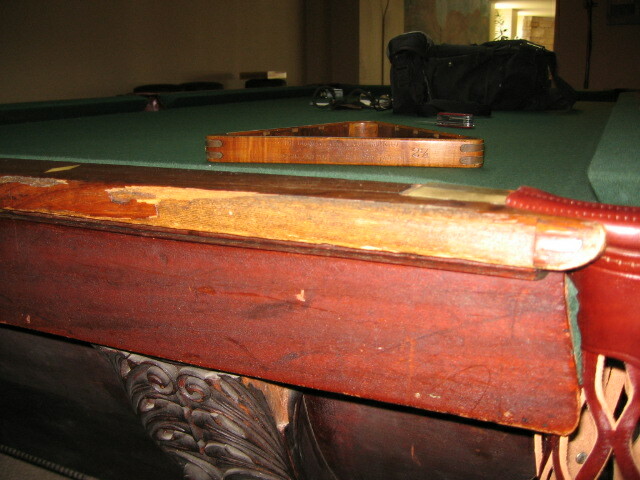 The snooker table suffered a lot of superficial damage to the carving on the feet and a portion of the rail covers was fractured & lost. 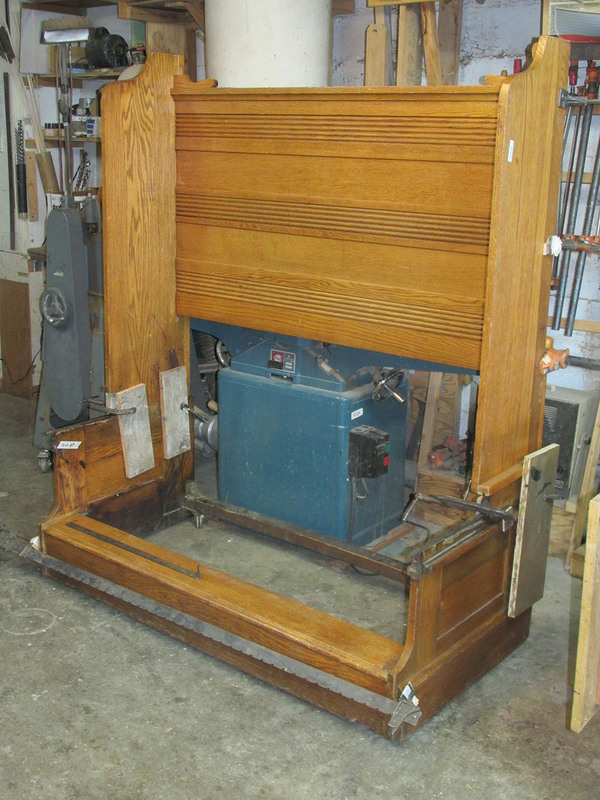 The massive, veneered side elements were very much intact as were the three 11/2″ thick slates under the old felt. 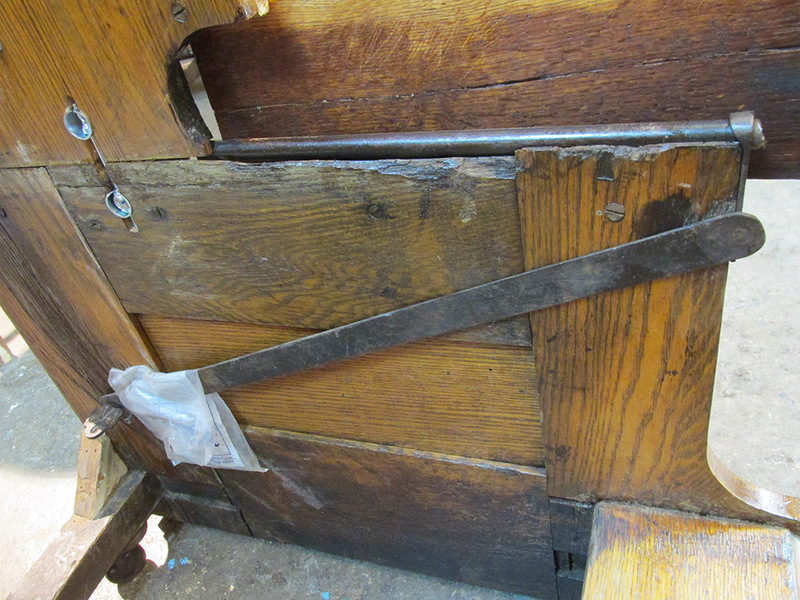 I had to fabricate a double pinned steel tool to remove the multiple large retaining bolts holding the rails to the top. 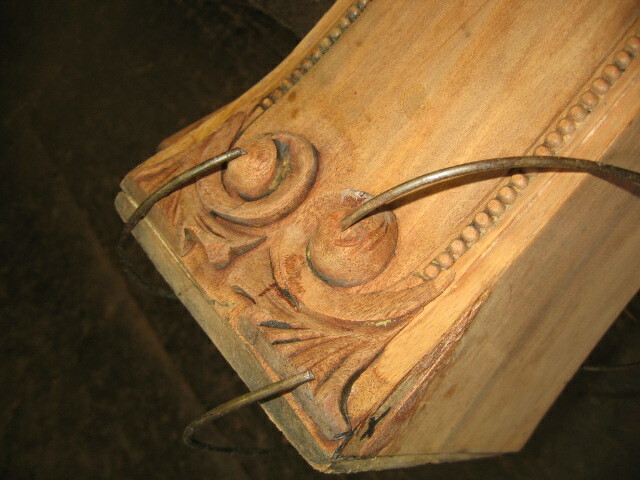 Fortunately, the slates were permanently attached to soft wood frames carefully carved to meet the six pockets. This made handling & reassembly much easier and safer. 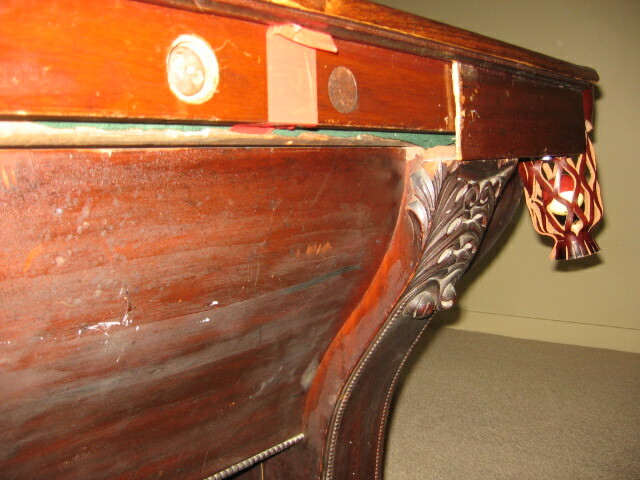 Most of the snooker table was veneered with ribbon striped, quarter sawn mahogany, except for the top rails which were East Indian rosewood with ivory inlay. 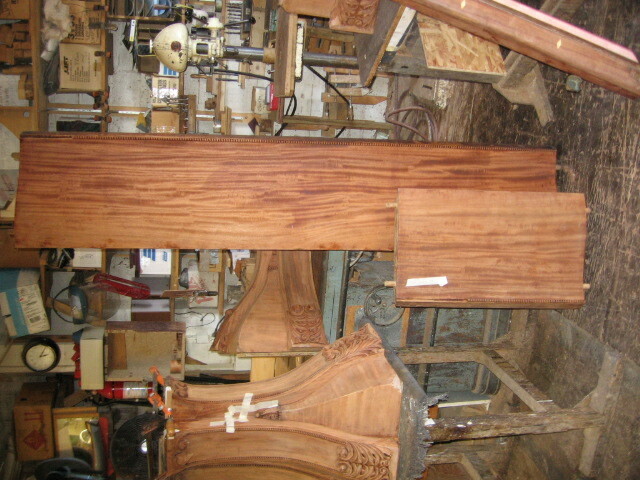 These pieces were badly worn & needed a lot of veneer replacement and repair. The trade in ivory being immoral as well as illegal, i find a suitable substitute with tagua nuts from the West Indies. The match up with old ivory is remarkable. My portion of the job was completed with hand applied varnish & wax after which a team of felters came in to reset the slate slabs using playing cards for shims to achieve that perfectly level playing surface which is then covered with new felt. 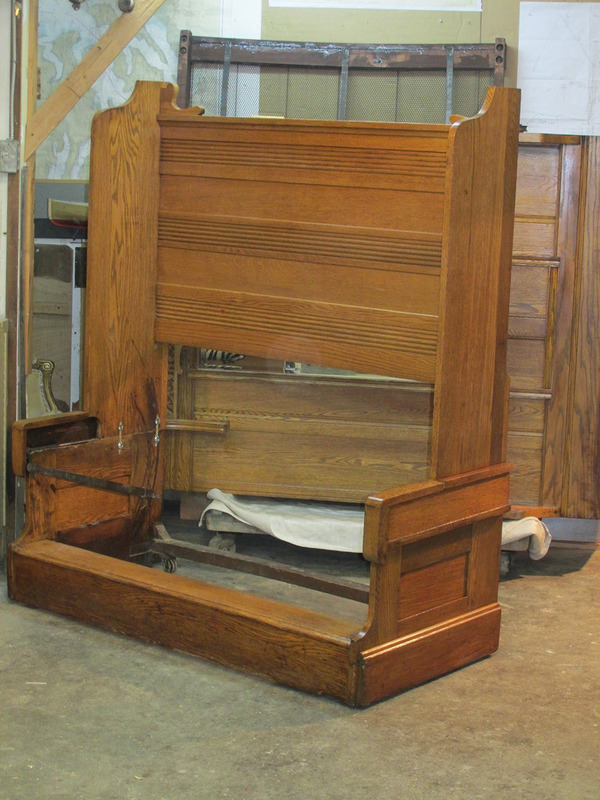 A folding bed from 1887 was damaged in a recent move to Seattle and arrived at my studio. Designed in the ‘renaissance revival’ style in white quarter sawn oak, the piece is free standing on well balanced castors and is superbly engineered. The massive folding motion is accomplished by stout steel wheels moving on short iron rods each side helped by a dedicated rack of pig iron ballast acting as a counter weight. 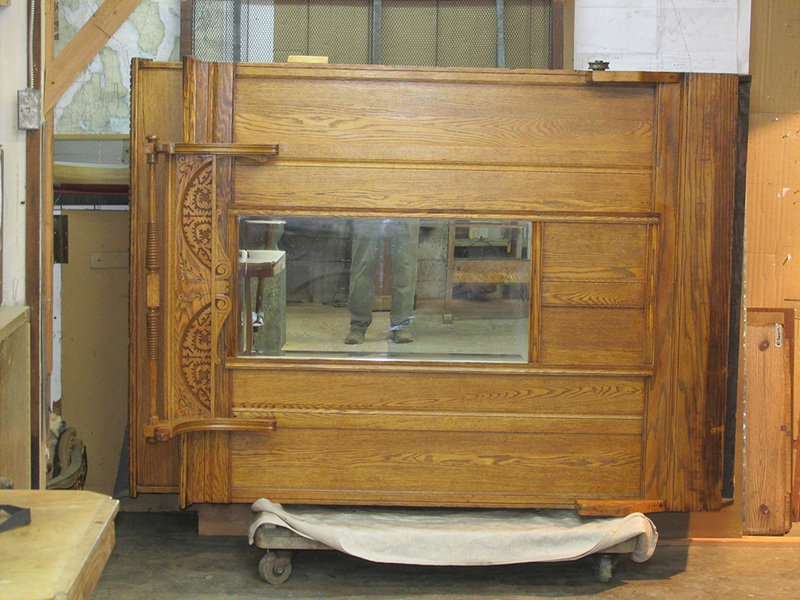 When upright, the unit displays a beveled mirror under the highly ornate, turned and carved front foot assembly. 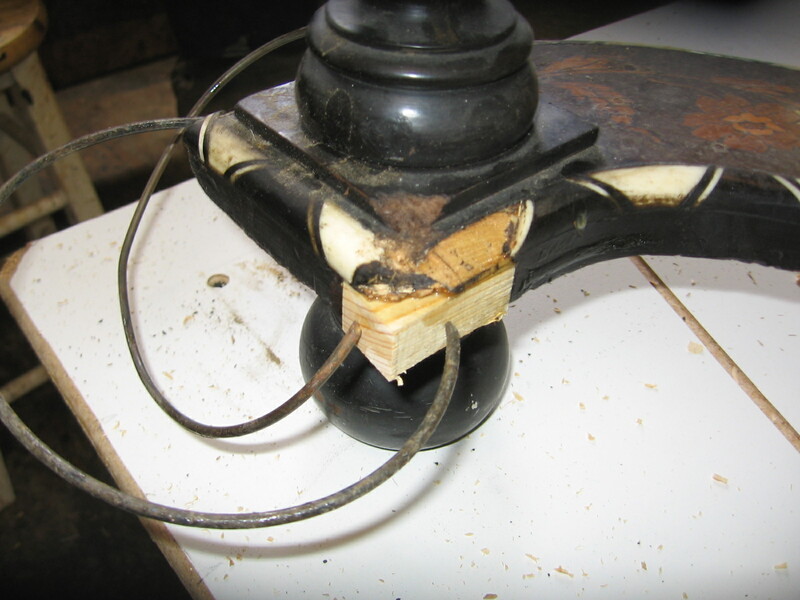 Broken in the move were the tongue and groove joins between the lower base & side elements on the external platform. As a corrective for this weak point, I installed modern ball ended draw bolts for strength and easy disassembly which allowed the customer to move the unit to an upstairs bedroom previously inaccessible by dimension. These draw-bolts are concealed by themattress in the open position. 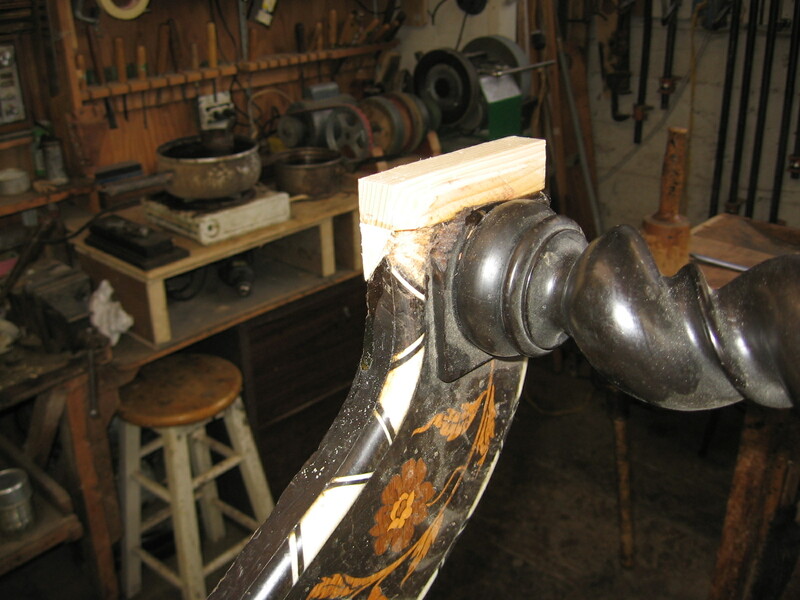 Broken and degraded moldings at the top of the bed were rebuilt, a major split on one side mended, losses corrected and worn corners made good. Application of shellac, touch up colors & wax completed my work. 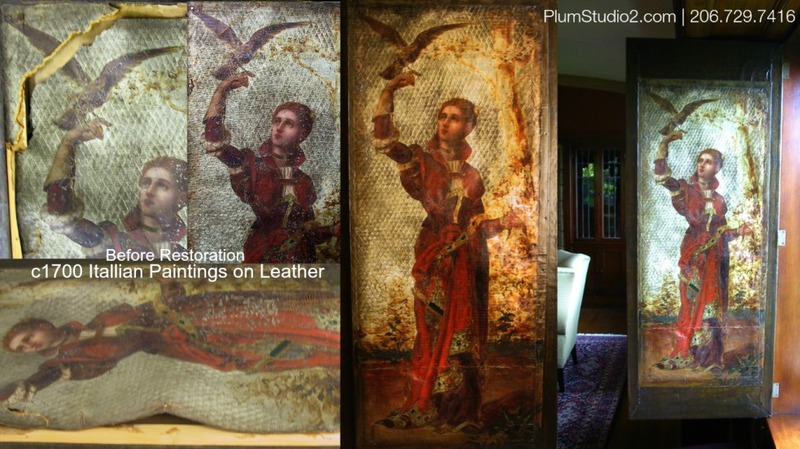 That such a large & complex decorative object has survived intact for 12 decades is a testament to the integrity of this fascinating relic. 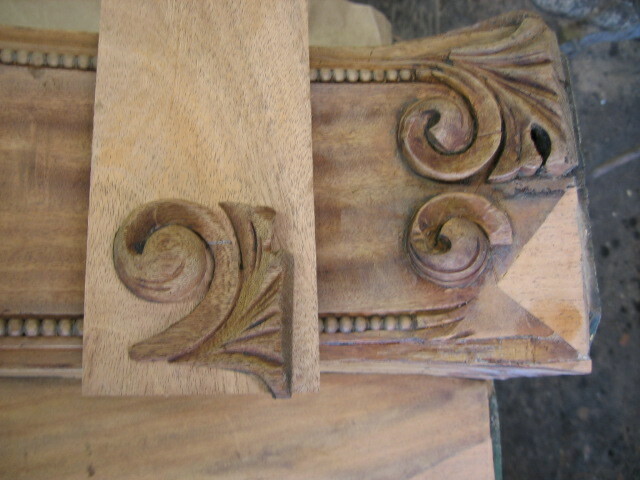 Ivory Table Restoration Project: This is an Edwardian reproduction of a 17c. 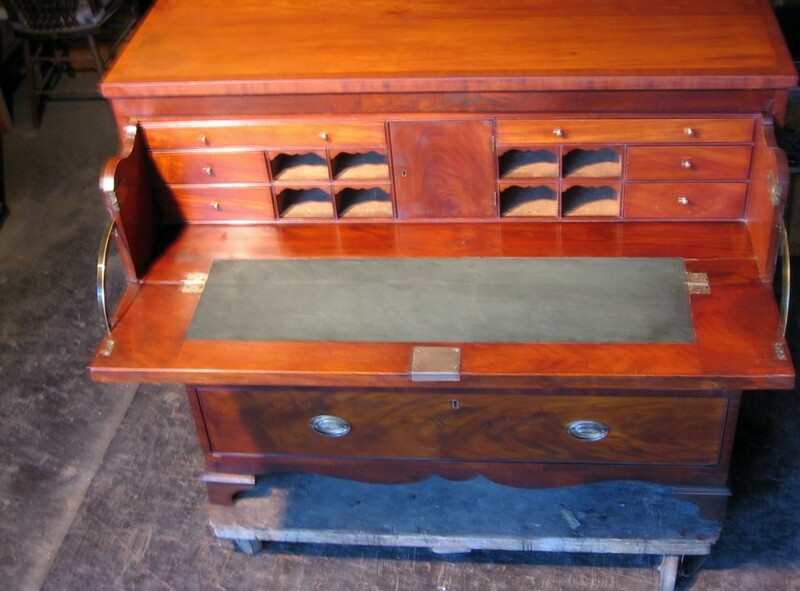 Dutch or English design featuring barley twist legs, ebony & ivory inlay & superb marquetry on top & stretcher. All 4 stretcher ends down low became a chew toy for a dog. 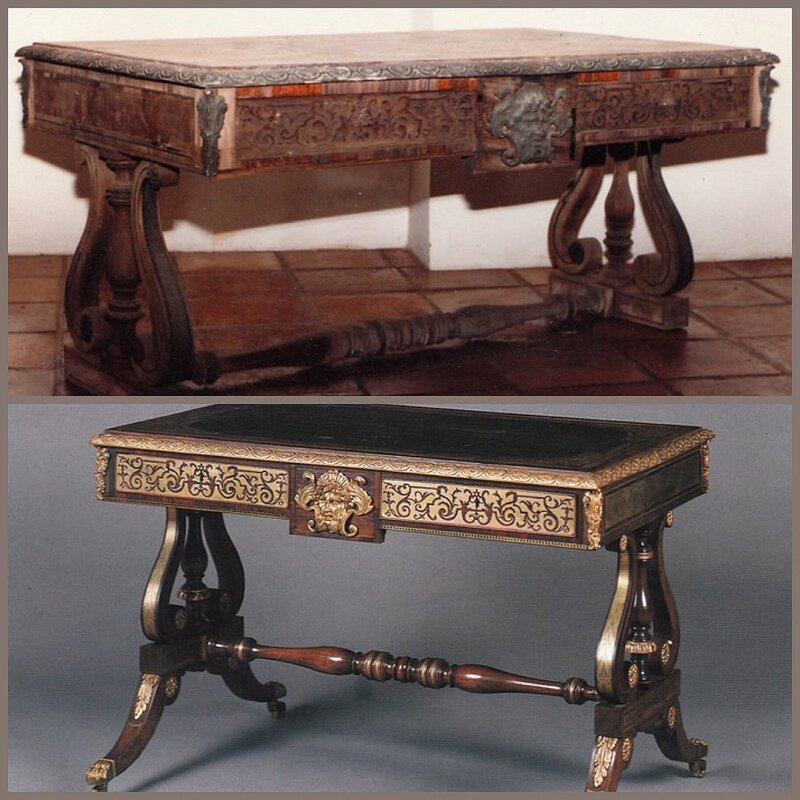 Taguia, a tropical nut is a close match to & cant easily be distinguished from ivory.After shaping the curved black & white inlay,gluing with hot hide glue & refinishing with shellac & wax,the side tablle is once again intact. 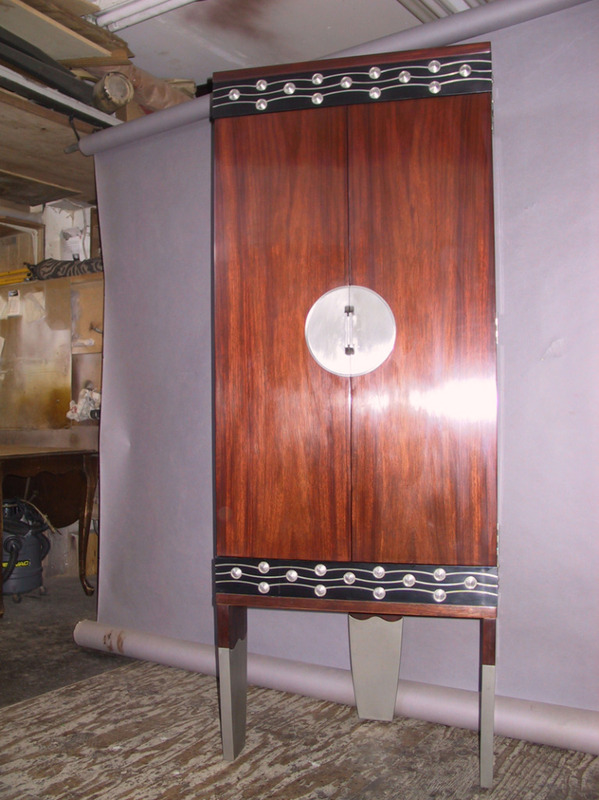 An Edwardian reproduction of a dutch-English 17c design featuring barley twist legs, ebony & Ivory inlay and a superb marquetry on top and stretcher. All four stretcher ends at the feet were used as a chew toy by a puppy. One hopes it didn’t swallow the Ivory! A tropical fruit, Taguia nuts are a close match and can’t easily be distinguished from real Ivory after restoration. 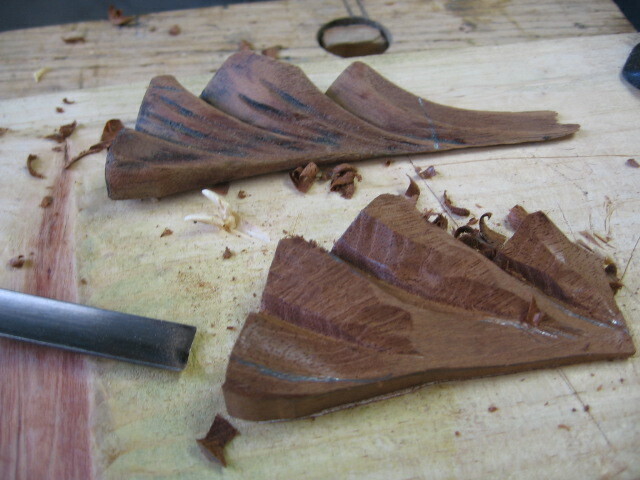 The garden like top finish had curled and cracked and was removed with a scraper. 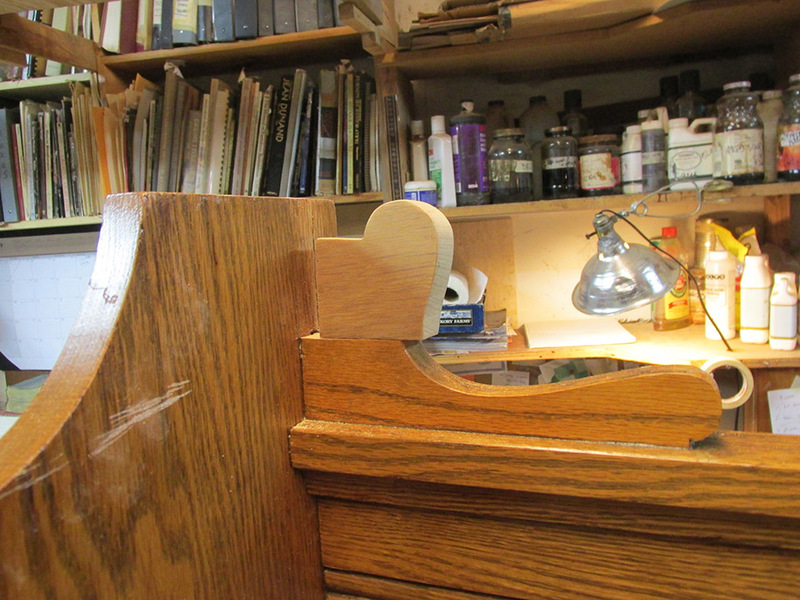 After finishing with shellac, the piece again is intact. 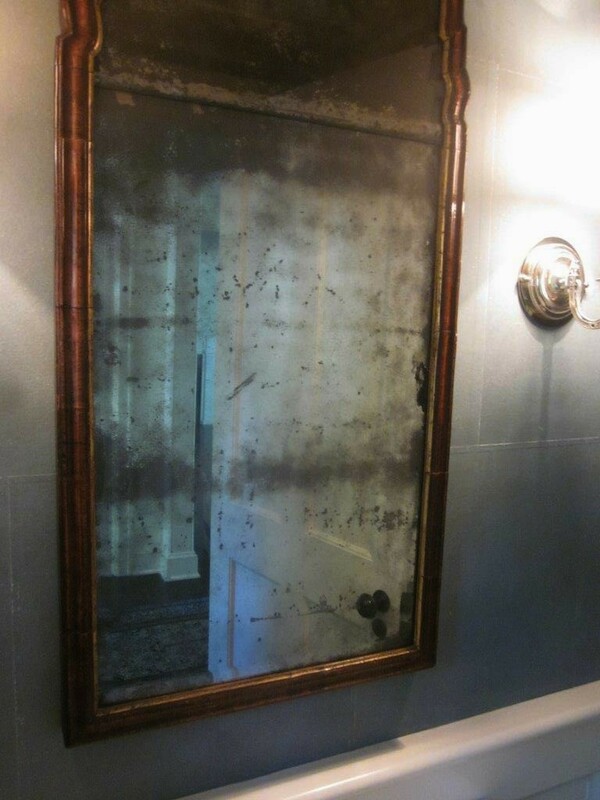 If you are a collector or lover of antique furniture and you may be someone who frequents estate sales, or antique malls and stalls – if you see something you like and you don’t know for sure if it’s worth putting through a restoration process, just bring it by or call on me I may be able to help over the phone. 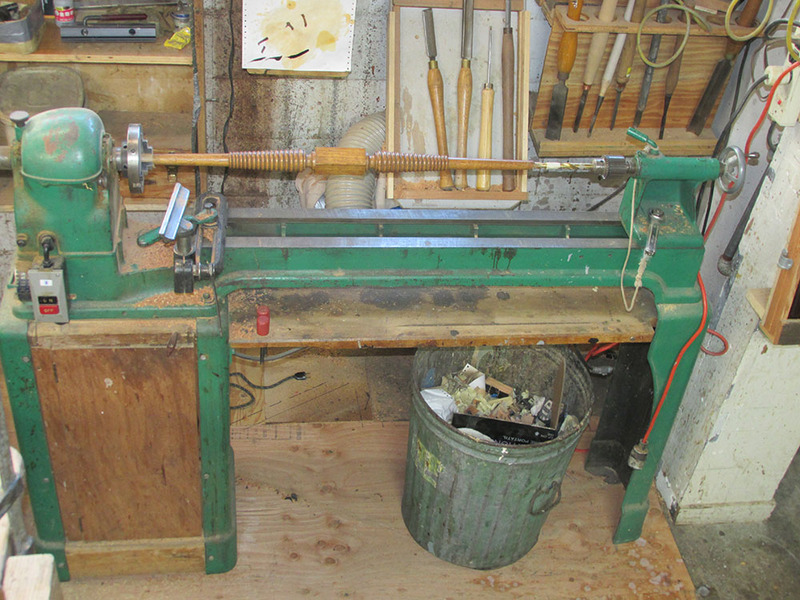 I’ve been at this for decades and have taken what looked like just a piece of junk and structurally repaired it, replaced the parts that were needed, (most of these have to be custom made) then put a shine on it so that it looks brand new – and voile’, you could have yourself a family heirloom!. 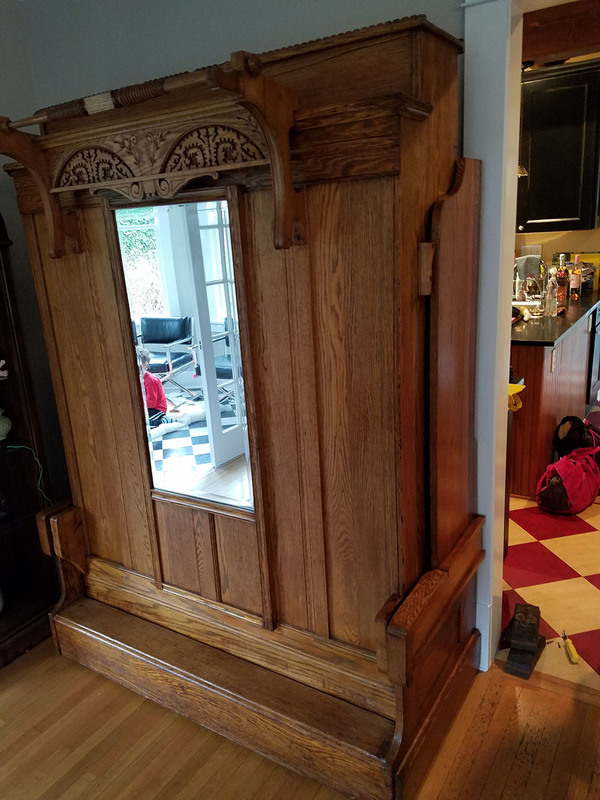 At the very least you could have a piece of furniture made by a long ago craftsman from the old school and if you don’t wish to keep it, you’d be surprised what price it will bring on the antique lovers channels. Happy hunting and get in touch sometime, I really enjoy my work and I pride myself in a lifelong journey of learning to restore furniture. In case you didn’t know, I custom design and remodel furniture too.